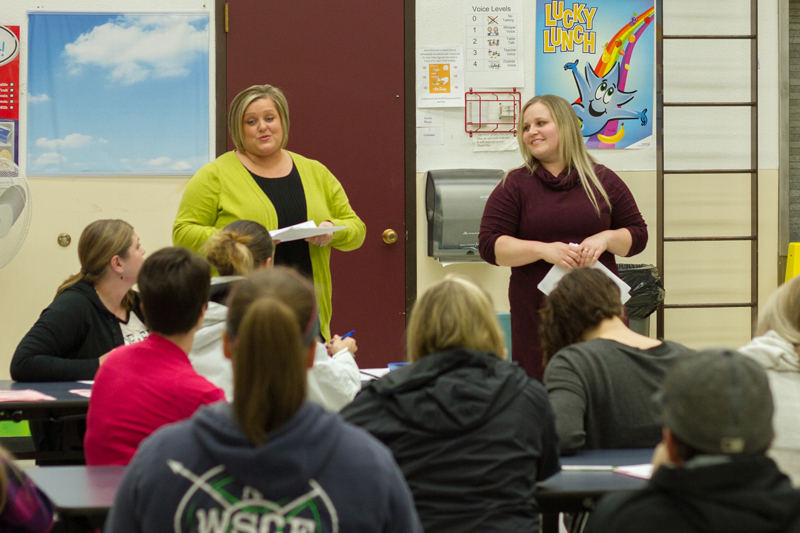 Sonya Stemkoski, one of Woodland Intermediate School’s special education teachers, along with her colleague Felicity Ottis, an occupational therapist for Woodland Public Schools, taught parents from the Woodland Co-Op Preschool lessons to educate their children on ways to respect and treat people with disabilities. Sonya and Felicity also discussed the differences between fair and equity. “Making sure something is fair isn’t necessarily what we all need,” explained Sonya. 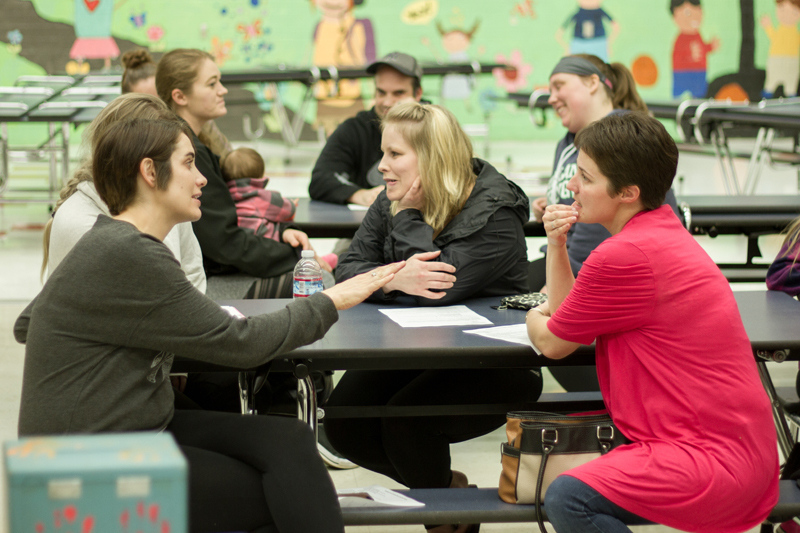 “Equity is the approach of ensuring those who need more receive more – everybody is different – just because Jimmy needs a bandage doesn’t mean everyone in class gets a bandage.” Following their presentation, the two guided parents through role-playing exercises so parents could practice for when their children ask them questions and provided a reading list of books so parents could learn more.